Chebsey is a small picturesque village in the heart of a conservation area in Staffordshire 2.5 miles southeast of Eccleshall on a confluence of Eccleshall water and the River Sow some 5 miles northwest of Stafford the county town. It comprises a number of houses and cottages and a village church dedicated to All Saints. Norton Bridge is a village in Staffordshire, England. Until 2004 it was served by Norton Bridge railway station. Arguably Norton Bridge is a hamlet as it is in the Parish of Chebsey and does not have its own church. 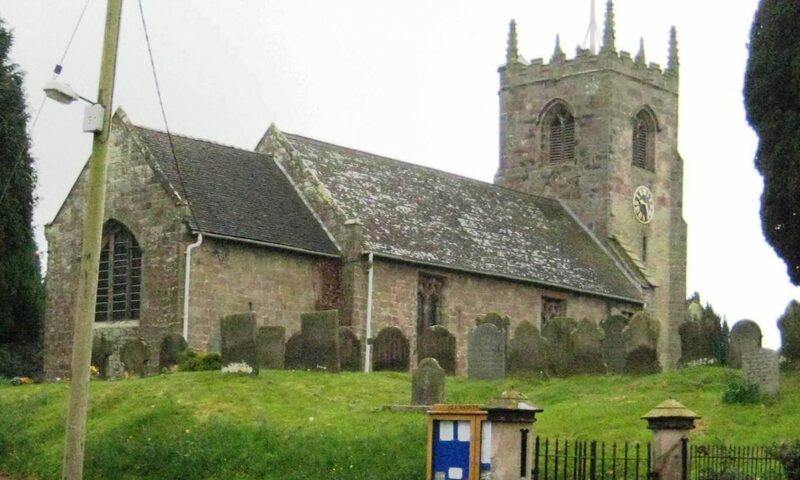 Standing above the village on a natural mound of higher ground, the church is mostly built from reddish sandstone in the Gothic style and dates from the 12th century. The west tower dates from the 15th century, and is constructed from mostly grey with some red sandstone blocks. The external staircase turret (on the southeast corner of the tower) at Chebsey, is quite an unusual feature. Though it is very common in the churches of the South of England and especially those of Devon and Somerset yet it is rarely seen in the churches of the English Midlands and North of England. Parts of the south wall of the church show signs of extensive repairs, mostly in red sandstone. The churchyard contains am Anglo Saxon cross shaft. Inside the church can be found late Victorian stained glass windows by Charles Eamer Kempe, and a 13th century stone coffin. The church was extensively renovated in 1897 under the supervision of Staffordshire ecclesiastical architect Andrew Capper. The churchyard contained the war graves of a soldier of World war 1 and an airman of World War 2.